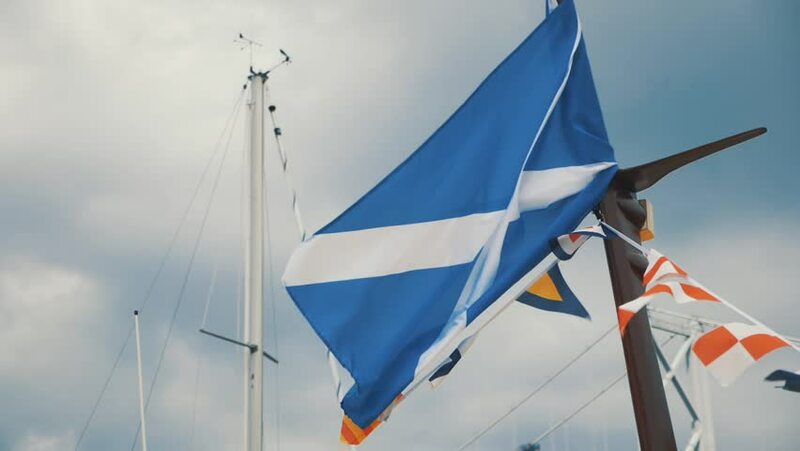 A slow-motion video of a Scottish flag, on a boat, blowing in the wind. hd00:17Russian national flag waving against clear blue sky. hd00:15Russian navy national flag waving against clear blue sky background.